The Wenatchee Wild defeated the Penticton Vees for the second night in a row in a home-and-home series, again by a final score of 5-1, mirroring Friday nights final. 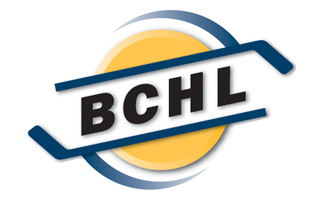 Saturday’s game was played in Penticton. Wenatchee got on the board first when Matt Gosiewski ripped a shot home on the Wild’s first shot on goal, a power play goal at 2:46. Penticton managed a power play goal of their own later in the opening frame when Ryan Sandelin tipped a point shot past Austin Park and the game was tied heading into the final moment. But the Wild, shorthanded, had Ryan Wilson angle the puck out of the zone where it was chased down by Josh Arnold who deked and buried his breakaway chance to put the Wild up 2-1 with ten seconds left in the first. In the middle frame, the Vees were able to continue to outshoot the Wild, holding a 19-14 advantage through 40 minutes, but a second tally of the night from Matt Gosiewski made it a 3-1 game at the end of two. Penticton found themselves shorthanded 5 times in the final period, and the Wild took advantage, scoring a 5-on-3 power play goal at 7:40 when a Brandon Koch shot was deflected home by PJ Fletcher, with defenseman Ryan Wilson grabbing his second assist of the game. 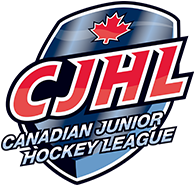 Another power play redirection provided the final margin as Jake Vaughan beat the Vees goalie by tipping a shot from Nikolai Lyssogor, also assisted by Jacques Bouquot. Goalie Austin Park went the distance for the win, turning aside 26 Penticton shots. Wenatchee scored 5 goals on 33 shots. The regular season begins for Wenatchee on Sept. 7 when the Wild visit the Vernon Vipers. The Wild Home Opener will be Friday October 12 against the Nanaimo Clippers, and will feature the unveiling of the Championship Banners, a Ring Ceremony, and more.